Increased competition has made the overall travel experience a huge factor in attracting and retaining passengers. The challenge is improving the customer journey while driving down your operating costs and boosting non-aeronautical revenue. Through our unmatched aviation support services, we can help you be more dynamic and successful in today’s competitive industry. Our experience, people, services, and flexibility make us the only single-source provider to meet the unique needs of airports and airlines of all sizes. And, we help you reduce operating costs, boost revenues, and positively impact the overall experience of your travellers. In 2012, we acquired Air Serv, a leader in passenger services, to significantly expand our capabilities in servicing the aviation industry. Starting from humble beginnings as a small outsourcing company in 1979, Air Serv grew to become the largest single-source U.S.-based aviation support solution provider in the world. To view the ABM company brochure click here. Passengers have more travel choices than ever before. You need to exceed their expectations every time they use your airport. 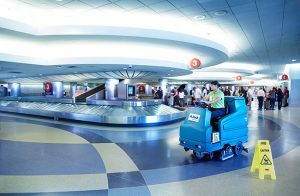 A sparkling clean airport can be a key to improving passenger and employee satisfaction and increasing revenue. You need an experienced partner that provides flexible and responsive cleaning services to create a sparkling, sanitary, and sustainable travel environment for passengers and employees alike. We provide a full range of custom cleaning services and programs. Our trained teams are cost-efficient while providing complete attention to detail and meeting tight timelines. ABM has been providing comprehensive, effective cleaning services formore than a century. 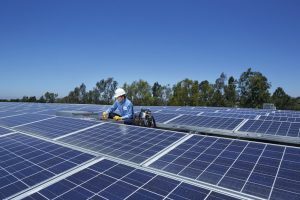 The rising cost of energy is a real concern for today’s airport operators. After all, airports are large users of energy. And utilities are often an airport’s second largest operating cost. With competition up and revenue down, you need to find ways to reduce operating expenses. Our innovative energy saving solutions help you focus on increasing energy efficiency as a way to eliminate waste, save money, add revenue opportunities, reduce environmental impact, and improve customer satisfaction. 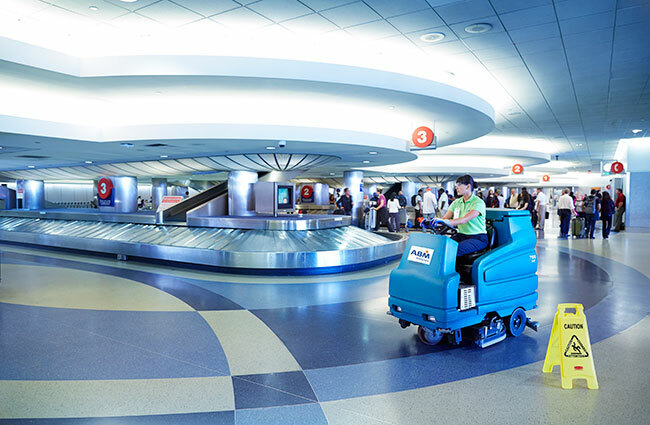 How well your airport is maintained is a key component of elevating the passenger experience. 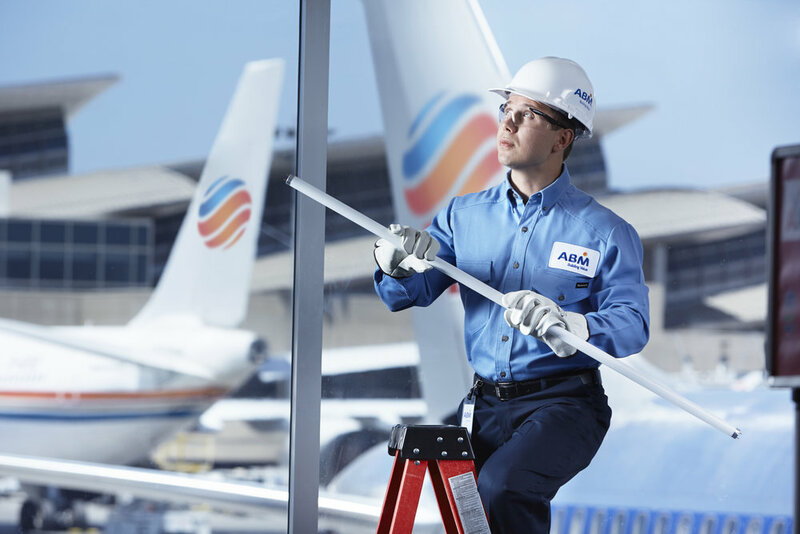 Keep passengers and planes moving and critical systems up and running 24/7 through our comprehensive facilities maintenance solutions. Passengers expect – and deserve – a comfortable and safe travel environment. How well your airport is maintained directly affects their overall travel experience. Traditionally, however, building maintenance has been a low priority for airports. 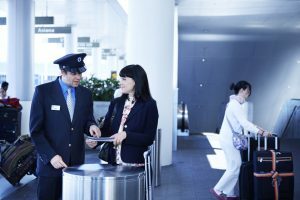 By being more proactive with facility and system enhancements, you can create a more comfortable, safe, and efficient physical environment that fosters passenger satisfaction. 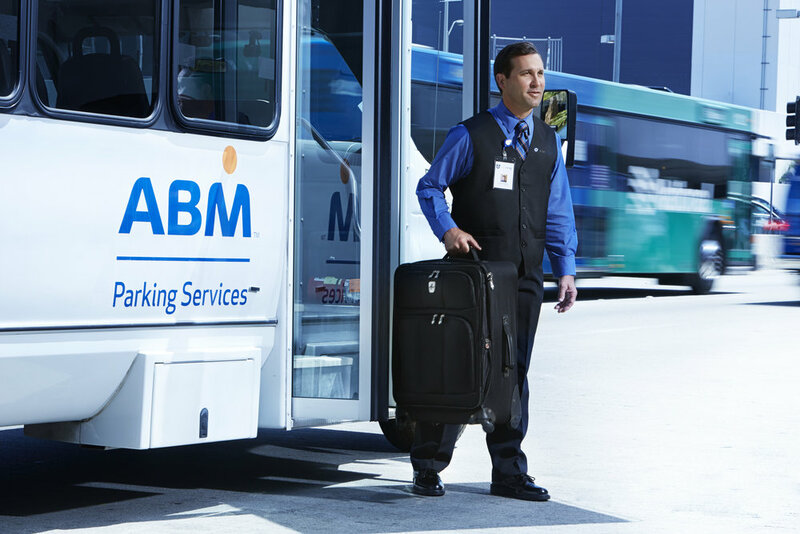 ABM offers comprehensive airport facilities management programs that help you improve your image while protecting your airport from interruptions, complaints, and escalating costs. Looking for new and innovative ways to drive new business and revenue and positively impact your passengers’ overall airport experience? We deliver a suite of value added ‘passenger & employee’ airport parking and transportation services that do just that. To thrive, airports today need to find innovative ways to offer and exceptional passenger experience. And their first impression starts right in your parking lot! Insufficient and mismanaged parking and shuttle operations and untrained valets can negatively affect satisfaction, tarnish your brand image, and cost you in lost business. By offering valets and shuttles, parking management, VIP and loyalty programs, and other specialty solutions, you can maximise your non-aeronautical profits and enhance traveller satisfaction at the same time. 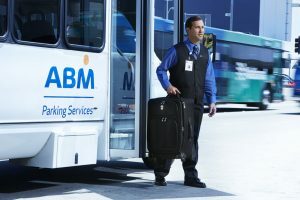 ABM is a leader in airport parking solutions. We help you maximise your parking and ground transportation revenue, while our dedicated team provides first-class service for your operations. Air travel can be stressful. Passengers are looking to ease and speed their journey through convenient services, helpful personal interactions, and VIP amenities. We help all passengers, including passengers with limited mobility, get to their gates stress-free and on-time. Providing the right assistance to the right people at the right time can make all the difference. It reduces stress and makes the overall travel experience much more enjoyable. It also helps establish passenger loyalty, something every airline needs in today’s competitive environment. Through our ambassador/concierge services, and our passenger with reduced mobility services (PRMs), ABM is dedicated to providing exceptional personal service, making air travel an experience that goes above and beyond. Our training was professionally designed and benchmarked against the finest hotels in the world. The result is a team prepared and eager to provide “five-star” level passenger service. 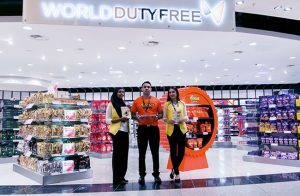 To keep passengers from shopping around when it comes to other airports, you need to up your game in terms of retail offerings. 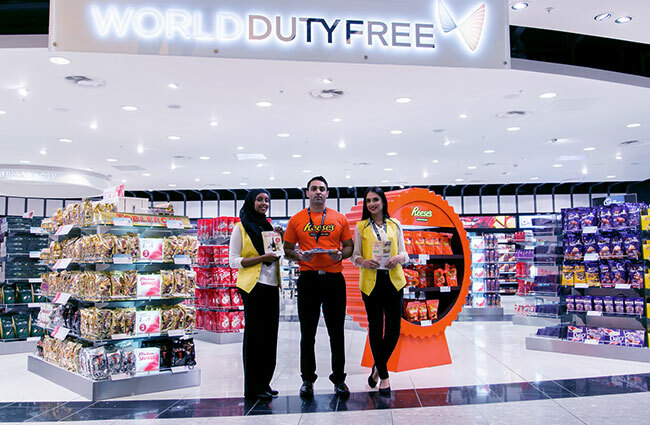 We can help you establish targeted retail solutions that appeal to travellers and help establish brand loyalty and maximise spend while in the terminal. Improving overall passenger experience has become critical to making up for lost airline revenue, shrinking budgets, and increased competition. This is pushing you to raise your game in terms of customer-service delivery and retail offerings. To better compete, you must now offer high-end retail experiences, personalised concierge services, and other destination and targeted services to appeal to global travellers. As a market leader in retail management, we offer retail staffing and marketing solutions to enhance passenger shopping experience and help you generate more income. To keep passengers and employees safe and secure, we provide a wide range of airport security services, including access control, door and perimeter guarding, passenger and cabin baggage screening, and security gate operations. Today’s threat-heightened environment has made protecting airlines and airports critical. Passengers expect maximized safety and minimized security risks. ABM partners with airport authorities, federal and local security agencies, and more to safeguard your passengers, employees, and airport. 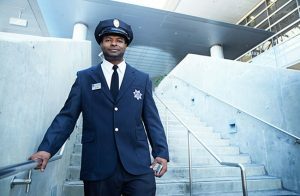 We have a strong team of local security professionals who have the knowledge and experience to handle any security situation. Our security managers are skilled in operation procedures and software systems in addition to their military, law enforcement, or other security experience. We have the flexibility and resources to serve airports of any size.